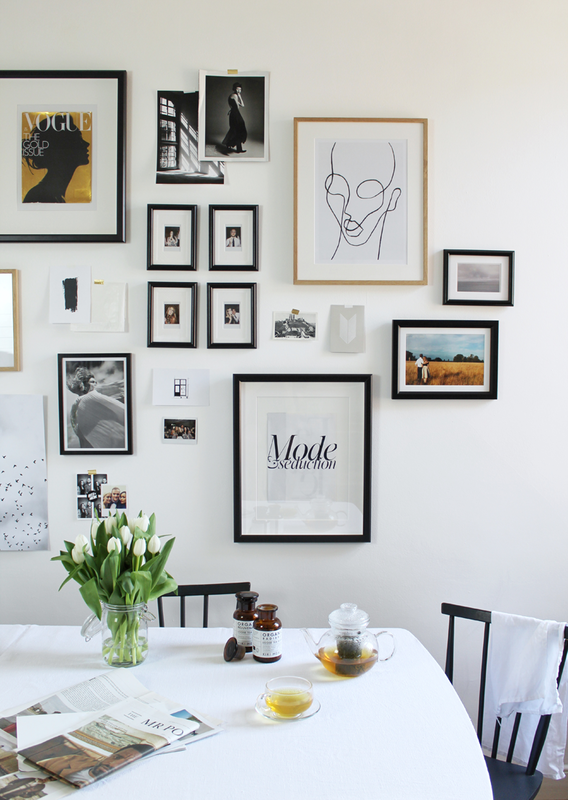 How To Create The Perfect Gallery Wall. It’s easy to forget that in this world of highly stylised homes that not everything goes right first time, our homes are as much a case of trial and error as our haircuts or our choice in jeans might have been. There will be times it goes wrong and there will be times you wish to eradicate from existence. My dining room’s gallery wall is testament to the fact that sometimes it just doesn’t go right. Despite following all of the steps that I’m about to outline below, it was wrong. The layout was unbalanced, the frames too close together and the imagery just wasn’t very cohesive. I’m, perhaps unsurprisingly, a visual person. I see things perfectly in my mind and then when the reality doesn’t allign with that image in my head I get rather angry. The gallery bugged me from day one. I hung the final picture, I stepped backwards, looked up at the afternoon’s work and hated every last bit of it. Despite this it managed to stay for a full year, mostly because I couldn’t bring myself to readdress it until now. Have an aim. If that aim is for a multi-coloured, eclectic gallery including all sorts of tones and imagery; then great! Spend time collecting the objects and artwork that will fill that space and create the look you want. Find them over time, let the collection evolve. 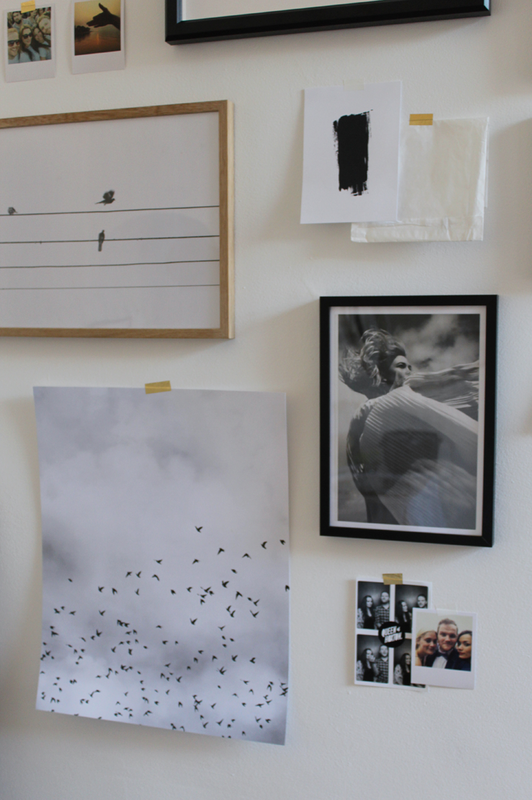 Clicking ‘add to basket’ on a selection of prints from the same online store may well give you a very cohesive, stylish gallery wall, but it won’t give you a very personal one. Spend time saving things, printing out photos you like, ripping out pages from things and save them up. If your aim is for something deliberately cohesive then define what exactly that means. Is it all one tone you’re looking for, or all one theme of imagery perhaps? Once you know the sort of colour spectrum you want the gallery to go through you can source the imagery to fill it with or in some cases adapt imagery that doesn’t suit to be something that does. Quite often I’ll simply convert an image to black and white through Photoshop and send off for it to be printed. 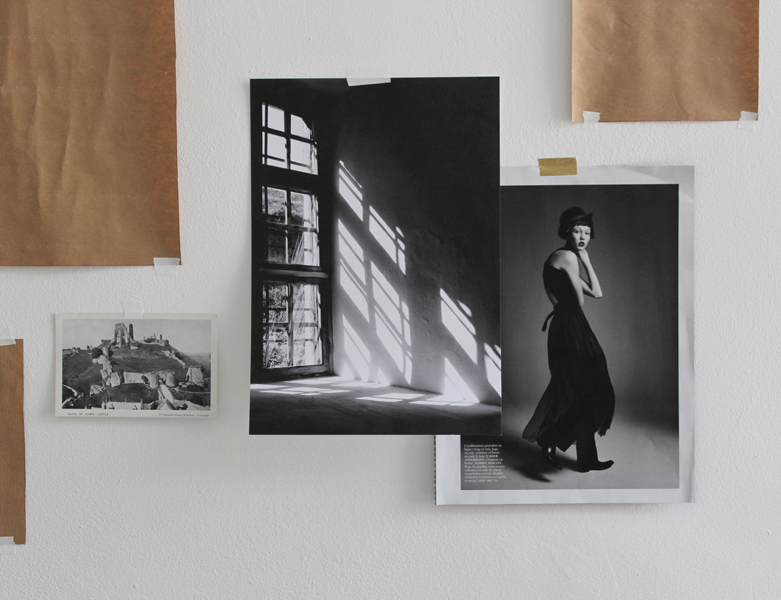 As you might expect most of the imagery included in my gallery wall is rather monochromatic. No-one is shocked by this. 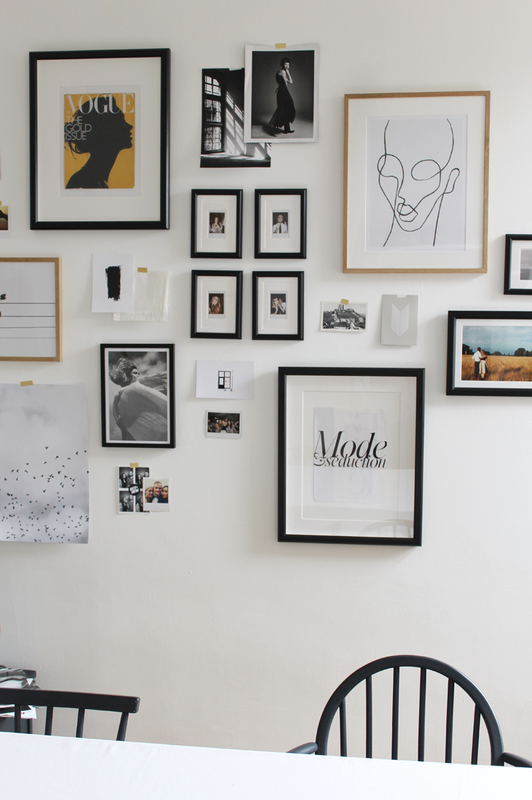 When it comes to sourcing for your gallery wall – think outside the box. 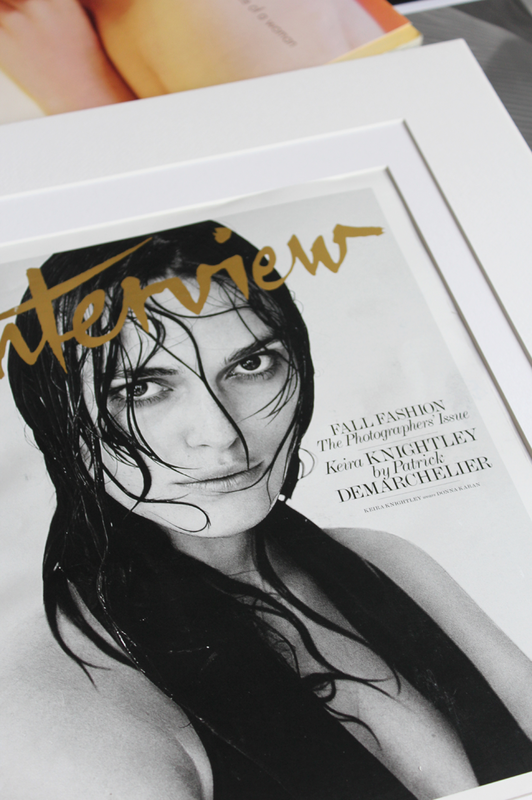 The internet is filled with retailers of typography prints, but so are the magazines you’ve kept in stacks around your house for the past few years. 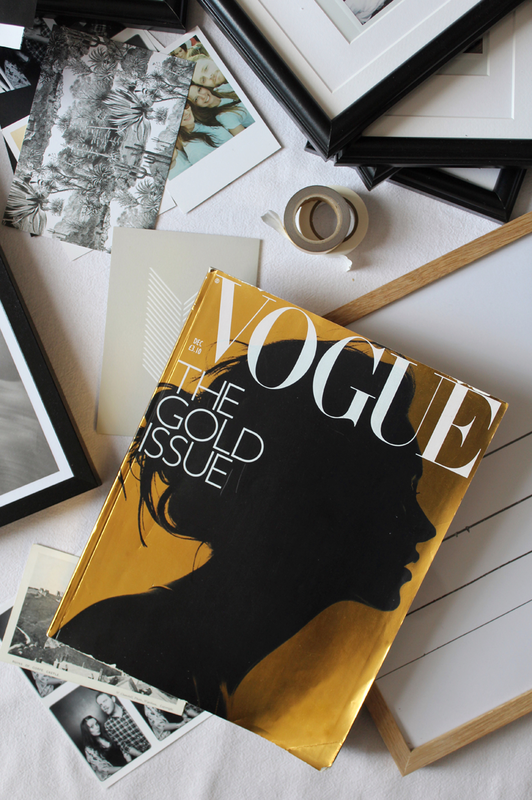 Buy vintage magazines from eBay (French Vogue is perfect for beautiful typefaces, not to mention editorial images), collect postcards from exhibitions you go to and even rip images out of catalogues if you find them appealing. It might not be apparent from first inspection but a lot of the images that fill the gallery wall in my hallway are actually taken from Toast catalogues. An impartial and unsponsored view on frames. So you’ve sourced your collection of images and miscellaneous items. It’s time to frame. As a general rule of thumb if I’m looking for a coloured frame, ie black in most cases, it will likely be a cheaper purchase. The oak frames however I would tend to spend a little more on to avoid any plastic looking ‘wood’ creeping in. Your eye will automatically go towards the wooden frames over the solid black, so if possible it’s a good idea to focus your budget on these. The majority of the black frames I use have been sourced from IKEA or Desenio, with the solid oak frames that feature throughout my flat being from Habitat. It’s true they’re more expensive, heavier (Habitat’s tend to come with glass rather than perspex in) and all together a bit more of a mission to hang due to their weight, they are beautifully made, sturdy and built to last. My favourite range, Rona, has unfortunately now been discontinued, so I’ve been making do with the Trieste and Ontario ranges instead. If you find your images are all a little on the smaller side then make them all the more of a feature by double mounting them, allowing you to place the image within a much larger frame. 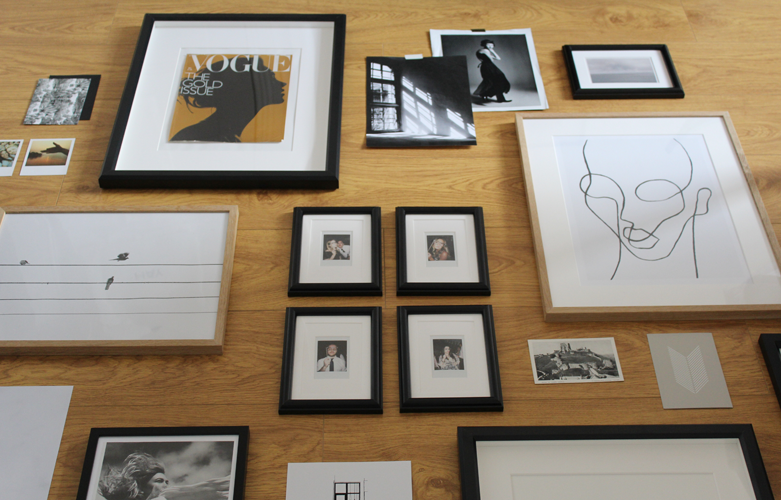 For mounts I always use The Picture Gallery & Framing Centre. You can select the card, the thickness, the colour and the precise dimensions of the mounts you’ll require, all for an incredibly reasonable price. 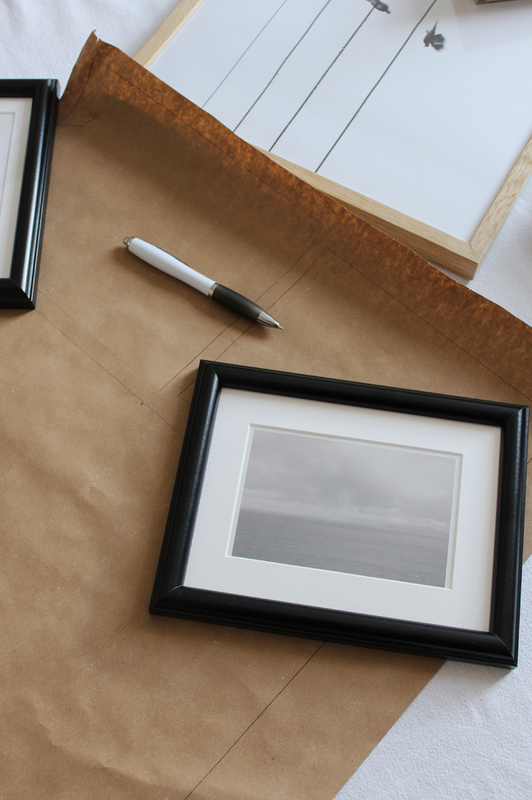 Doubling up on the mounts is a great to vary the scale of the frames in your gallery without purchasing huge images. You’ll probably have noticed that I don’t tend to frame all of my artwork, some is simply taped to the wall with Washi tape, sourced from eBay in various colours and designs. 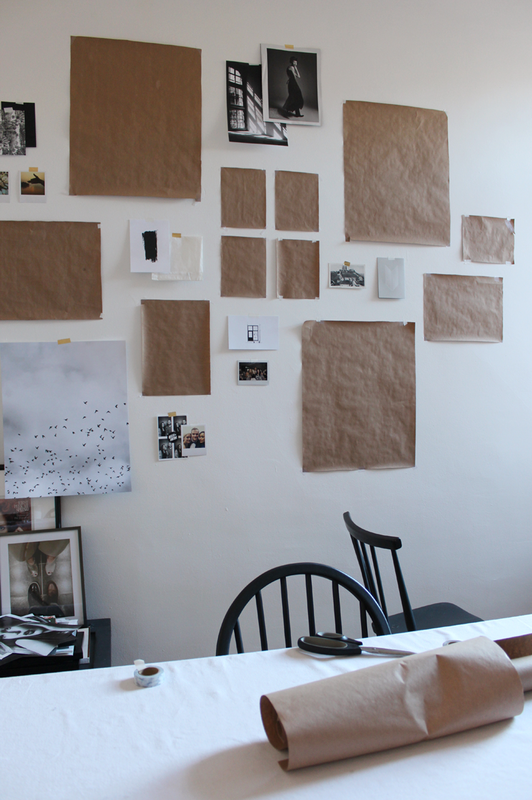 Working like this allows your wall to really adapt and change over time. If I find a postcard I love it will likely find itself included in a gallery somewhere, as might a page from a magazine or even a label from a piece of clothing I’ve got. To me working like this just makes everything feel a little more personal and a little less formal! 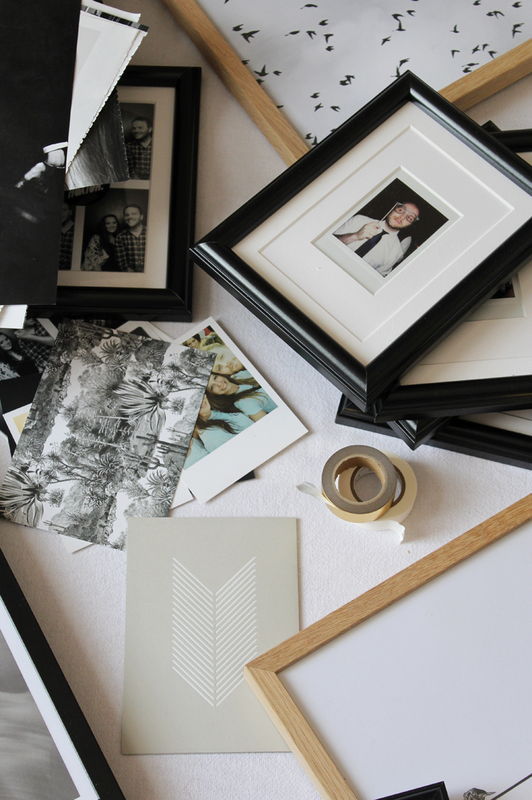 Clear some space and lay all of your frames and images down on the ground. Play around with layout and placement of everything, if you’re using different coloured frames it’s a good time to start spreading them out evenly. You might find you need some more landscape images, or some smaller pieces. 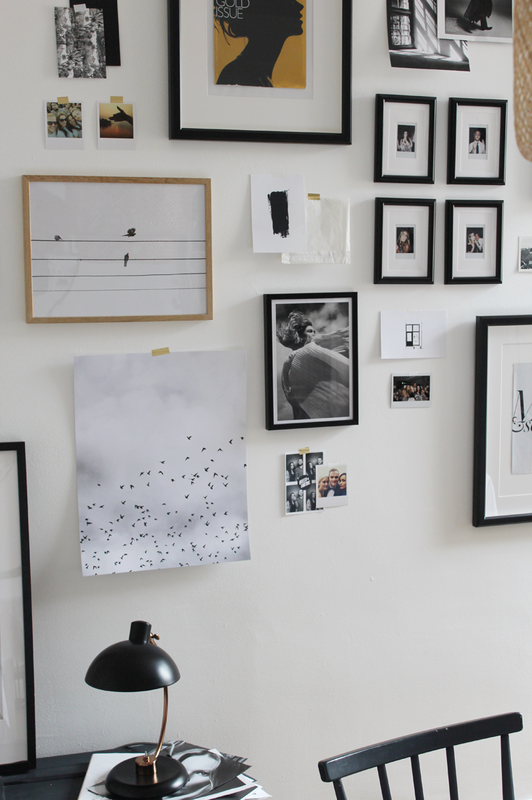 If you’re filling a section of a wall rather than a full wall then mark the wall’s dead centre (or at least the centre of the area you want to focus the gallery on) and fan out from that point. It doesn’t have to be symmetrical, but it should be balanced. Once I have a rough idea of the kind of layout I want from laying everything out on the floor, I draw round each frame on brown paper and cut it out. At this point it’s a good idea to also mark on the paper exactly where you’ll need a nail to be hammered in. 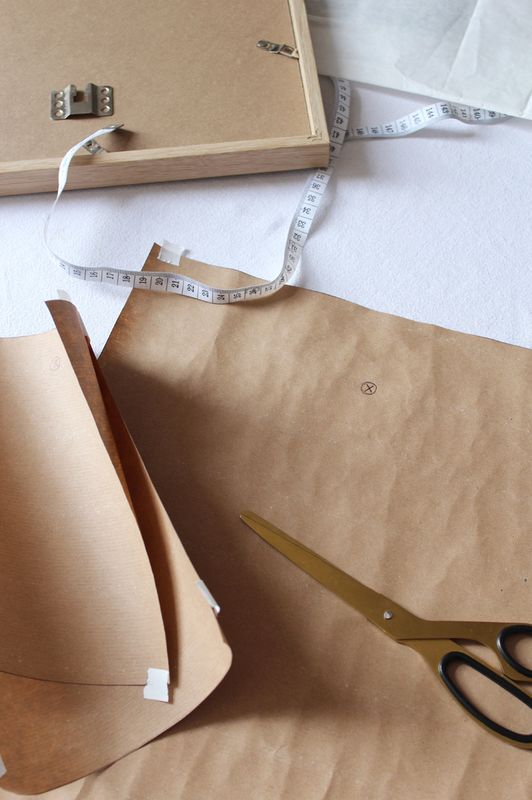 Then when everything is in place you can hammer it straight through the paper then simply rip it off. When each frame is cut out of paper start sticking them to the wall with masking tape to mimic the layout on the floor, using your central point as a guide. Here you can start to work on the spacing between the frames. I don’t measure the spacing between the frames but would roughly keep it the same, varying it between smaller frames if they’re going to be sitting as part of a group within the gallery itself. I definitely recommend doing this on a morning and going about your day, checking back in over the course of the day. The first draft of the layout is very rarely the one I end up going with. Over the course of the day I’ll unstick and move the shapes closer together, higher up or off the wall entirely until I feel I’ve reached the perfect layout. Thanks to the handy nail marks you made before taping the paper to the wall you can now quickly hammer in the nails for everything, ripping out the paper as you go. Easy. As my own wall proves, it can easily be changed if it isn’t right. 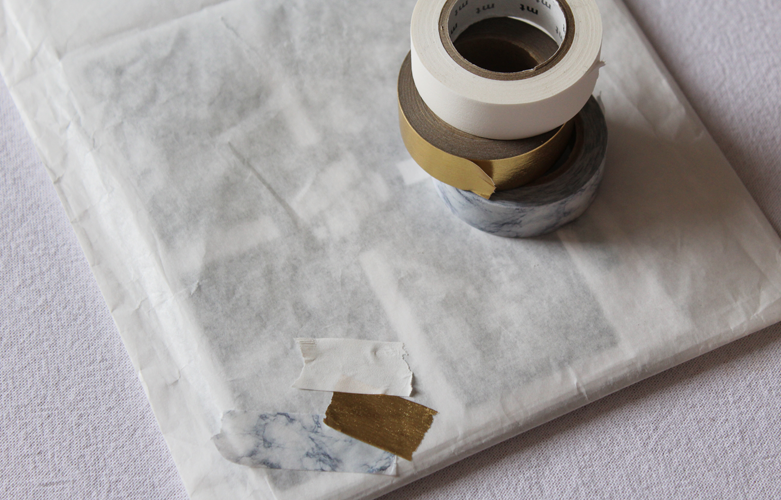 Using the Washi tape allows me to shift and alter the wall over time, adding more things as I find them but also taking things away to leave more space or even be replaced by a freshly framed fine. Let it evolve over time and allow it to become personal. 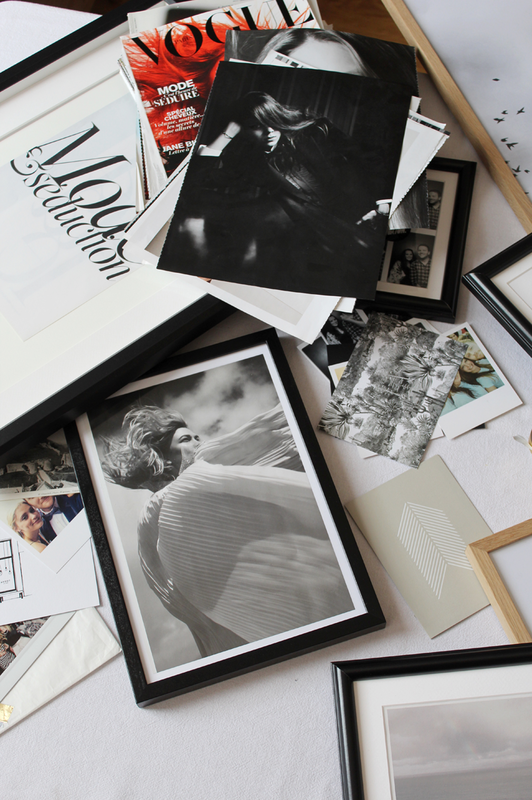 Everybody can have the perfectly manicured gallery wall from glossy online store but only you’ll have the gallery you piece together over time.